Did you think I had disappeared again?? Freebie time! Hey everyone, sorry I’ve been MIA. The past month has seemed like a complete whirlwind for me. Work has been very busy and I had 9 days of vacation packed in there that was very busy too! I even had a kit release while I was on vacation so I never got a chance to blog about it, can you believe it! I’ve been so busy that I even forgot to remove the sale price, shhhh! Get it this weekend before I get around to changing it! Anyways, the real reason I came here to blog is that I have a freebie template for you! 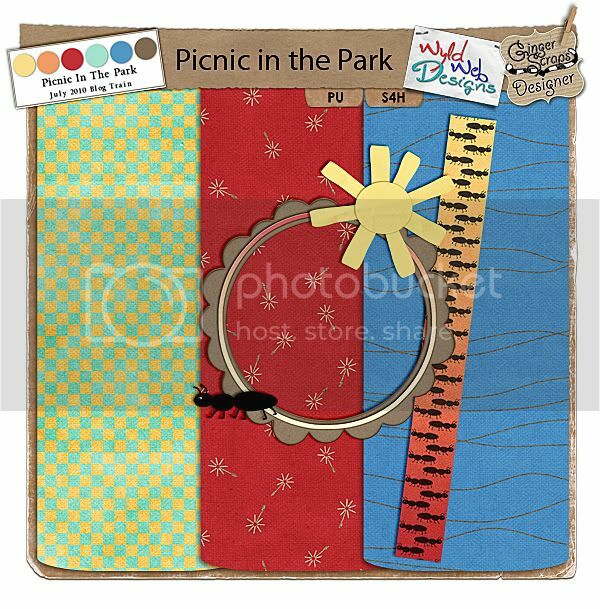 I entered the Brownie Scraps “Designer Survivor” contest and my first challenge is to do a template for you. It is available for free through the weekend at Brownie Scraps in their gallery! Blog train! The July Mega Blog train is here! Make sure you check out these threads at DST and DSA, as well as my Facebook Page for THREE chances to win! And you know, you just neeeeever know when something valuable might show up this week on my Twitter too! Plus there is a freebie in the next post too! Ok, on to the train! Your next stop is Scrapper’s Delights! Enjoy the ride!